Relish is a great way to make Christmas dinner that bit more delicious! Place all the ingredients into a saucepan and allow to come to the boil. 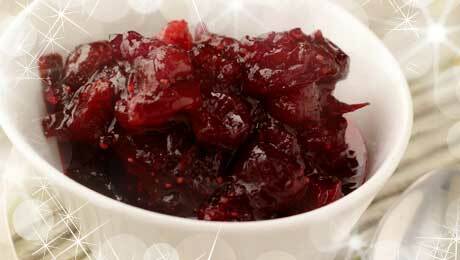 Reduce the heat and allow the cranberries to cook down gently. This will take about 10–15 minutes on a very low heat. Transfer to an airtight container and keep refrigerated for up to two weeks. If you wish you can store the relish in a jar with the cinnamon stick still intact. This is also delicious on St. Stephen’s Day mixed into some yogurt and served with toasted granola as a mid morning snack. I've just made this but made one-third of the recipe. It's gorgeous and I know it wont last long! This is gorgeous &amp; so simple to make! Lovely presented in christmas jars to family, my mother-in-law loved it for ham sandwiches over the holidays.